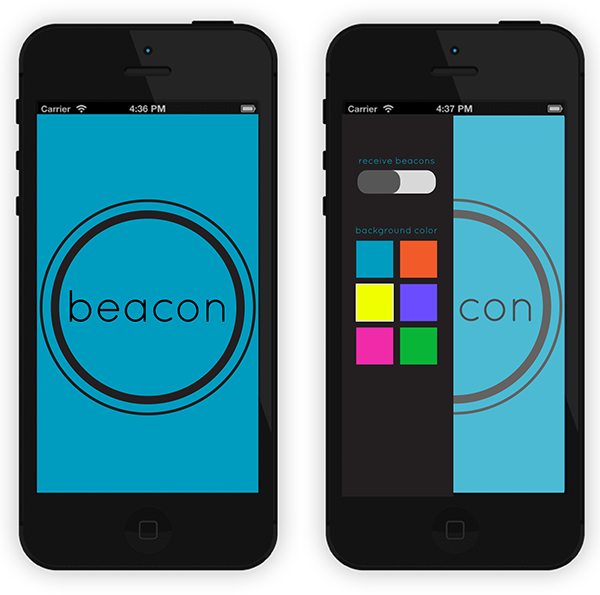 Beacon was created at the CSUA Hackathon on May 2-3, 2014 at UC Berkeley. It uses iBeacon technology through Bluetooth LE from the iOS7 SDK. Sends location-based "beacons" (signals / notifications) to all people in the area without the use of GPS. 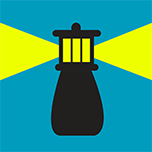 I thought about how users would want to know they were receiving beacons or not, since the technology would work with their app closed and screen off. I believed users would also want an easy way to turn it off, in case of meetings or classes. This design featured two buttons â€” now rectangles instead of buttons â€” that controlled receiving notifications (beacon) and sending them (beckon). 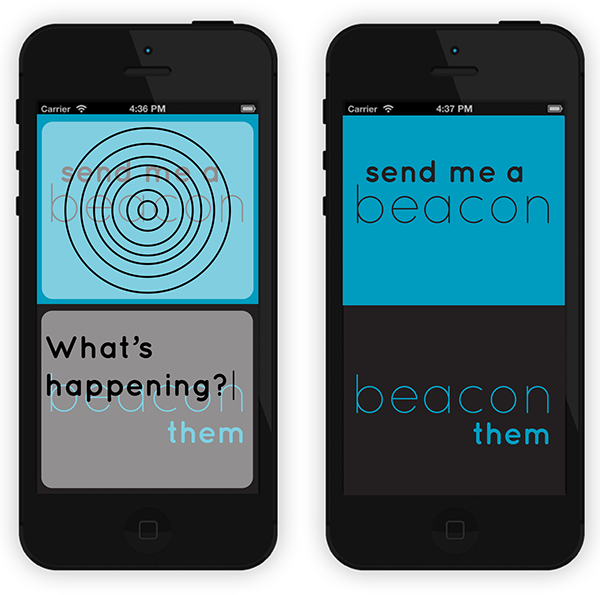 When pressed, the beacon button would pop up a pulsing radar image, and when beckon was pressed, it would open a "What's happening?" box. I decided to go back to our original interaction â€” one button. It was simple, clean, and very easy for the user to figure out the main interaction without getting distracted by other things on the screen. But we didn't want just any skeuomorphic button image. I was inspired by apps such as Shazam to create a button that followed the iOS7 Flat UI design principles while still feeling like a button. Also, after doing a mini-survey of other iPhone app layouts, I noticed that many apps have inherent swipe movements to open sidebars for things like settings or navigation. An iPhone-owner in our group told me that he even expects that when he swipes on an app it will open a side-screen. We encorporated this into the newest design. For more images of the process, mocks and final app, view the Behance portfolio piece.